Clippesby Hall is proud to be associated with the following local businesses and suppliers. They help make us what we are, and your stay all the more enjoyable. It was way back in 1981 that Woodforde’s Norfolk Ales produced the first commercial brew of Wherry Bitter at the original brewery in Drayton, near Norwich. 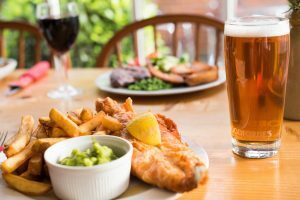 Just 15 years later in 1996 Wherry Bitter was awarded the ultimate prize in the brewing world – it became CAMRA Supreme Champion Beer of Britain. 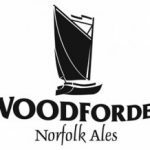 Within that relatively short time Woodforde’s Norfolk Ales became a byword for consistency and excellence amongst brewers of cask conditioned ale and their customers. The Norfolk Cider Company, established in 1987, are now the oldest established cider makers in Norfolk, following the closure of William Gaymer and Sons, where one of our staff worked. They continue a tradition in Norfolk that stretches back to at least 1204. The Mutimer family have been rearing pigs outdoors since 1973 and in recent years have developed Swannington Farm-to-Fork into a multi-award winning rural business. The animals are reared to the highest welfare standards and we are fully recognised by schemes such as the RSPCA’s Freedom Food Scheme and the Red Tractor Assurance Scheme. The meat has an exceptionally low “carbon footprint”. All animals are slaughtered at the local abattoir just 3 miles away and the carcasses returned to mature to full flavour before butchering to your requirements. Archer’s of Norwich was established in 1929 by John Archer who started in Norwich’s famous provisions market. His son, James (Jimmy) Archer, came into the trade as soon as he was allowed to leave school and in the early 80s bought the business from his father. From plantations all around the world, Lavazza selects the best coffees to create the numerous blends that we enjoy every day. From our humble beginnings in Victorian London to today’s state-of-the-art facilities, the history of McCarthys is incredibly rich, spanning six generations and over 135 years in the business. Founded by Thomas McCarthy, our company began as a fruit and vegetable stall on London’s Drury Lane in 1877. The family took their summer holidays in Great Yarmouth and in 1903 Thomas’ son Daniel opened a stall in its bustling market place. In 2009, Thomas McCarthy’s great-great-great grandson Daniel joined the firm, followed by Joe, Sam, Annabel and Josh; marking six generations of our family business. Mark Wilkinson has over 35 years of experience in outdoor / adventure activities, having gained the bulk of this through a long and varied career within Scouting. His specialist area is expedition bush craft – practical, effective and fast learnt from running many trips and expeditions all round the world. He has worked with many organizations including NCC, SCC, Scouts, Guides and many other youth and adult groups. 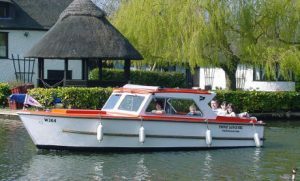 Fineway Leisure is a family run business situated in the heart of the Norfolk Broads on the River Bure in the busy village of Wroxham. We specialise in the rental services of day boat launches. Day boat launches are available by the hour, part day or full day. Some launches are equiped with heaters for winter cruising.